The country's turbulent past has been replaced with a thriving tourism industry, but what safety concerns should visitors have? Of all the countries in South America, Colombia probably has the worst reputation. The country’s turbulent past, which was well documented in the news, was enough to put most tourists off. But those days are long gone, and in the past couple of years tourism has been steadily on the rise in this Caribbean coastal paradise. So, how safe is Colombia now? Theft is the most common crime against tourists, so don’t carry your valuables around with you. Expensive jewellery and flashy clothing are not necessary or appropriate in Colombia, so leave your valuables in the hotel safe, and ensure your day-bag has a secure fastening to deter pickpockets. Although many of the tourist areas remain busy and generally safe on a night, there’s no need to walk around after dark, especially in remote areas and if you’re on your own. Taxis are extremely cheap, and hotels and restaurants will be more than happy to arrange them for you. Many tourist-related crimes occur on public transport, particularly on longer routes between towns, when gangs have been known to stop buses and steal from those onboard. Don’t let this put you off exploring the country, but for longer journeys it’s a quicker and easier to fly, and much safer. Colombia has more road traffic accidents than most countries, due to busy cities and a tendency to speed, so although crossing the road may seem like the most basic safety concern, extra care should be taken in places like Bogota and Medellin. Booking through a tour operator will ensure there is someone to meet you at the airport, help you check in at your hotel, and get you safely from place to place during your holiday. It also means you always have a number to call should something go wrong. Reassurances like these will mean it’s easier to relax and enjoy your trip. Consider booking onto tours. This is a cheap and fun way to socialise and see the highlights of the country without the risk of getting into trouble on your own. Stick to the beaten path. 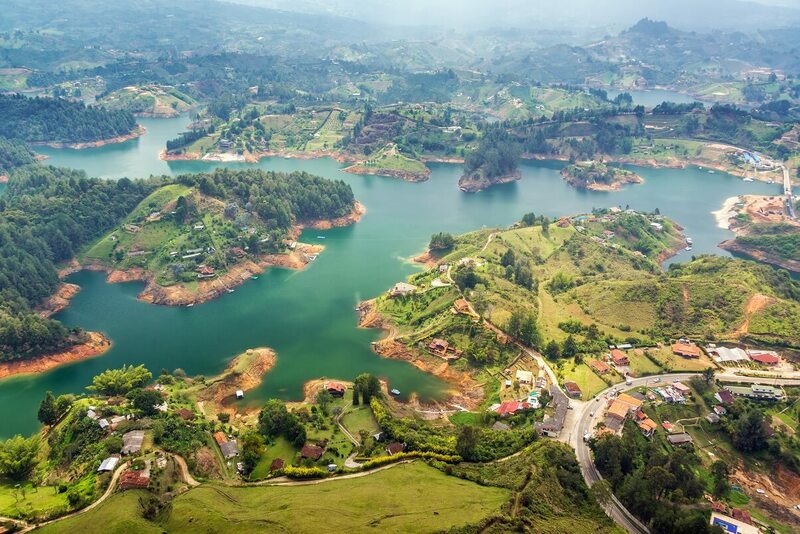 There are many rural areas of Colombia that remain unsafe, particularly for a solo traveller, so stick to the more popular areas like Bogota, Cartagena, Medellin, and the coffee region. As a solo traveller you are more at risk of petty crimes, so ensure you don’t walk around on your own in deserted areas, and if you feel unsafe at any point head for the nearest restaurant or hotel. 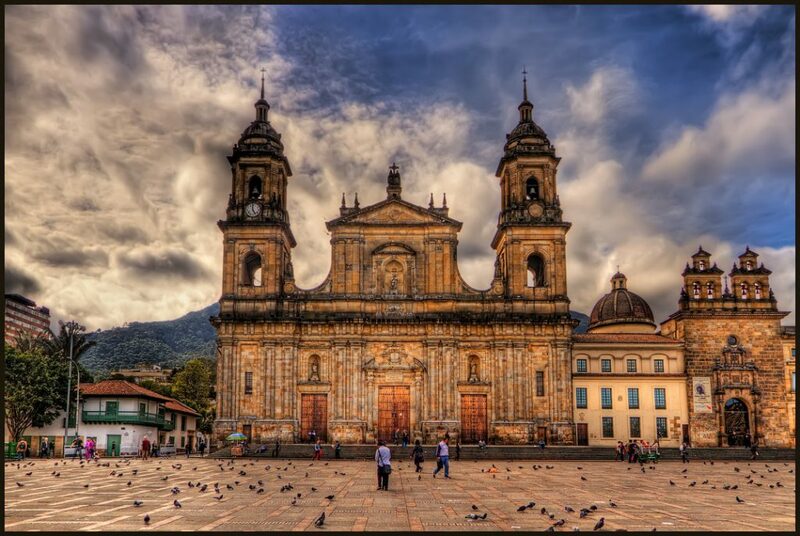 Bogota is where most international flights land, so most visitors to Colombia spend at least one night in the capital. Although there are neighbourhoods of the city which are considered unsafe for tourists, you have no reason to visit these areas and are unlikely to accidentally end up in one of them if you take a wrong turn whilst sightseeing. 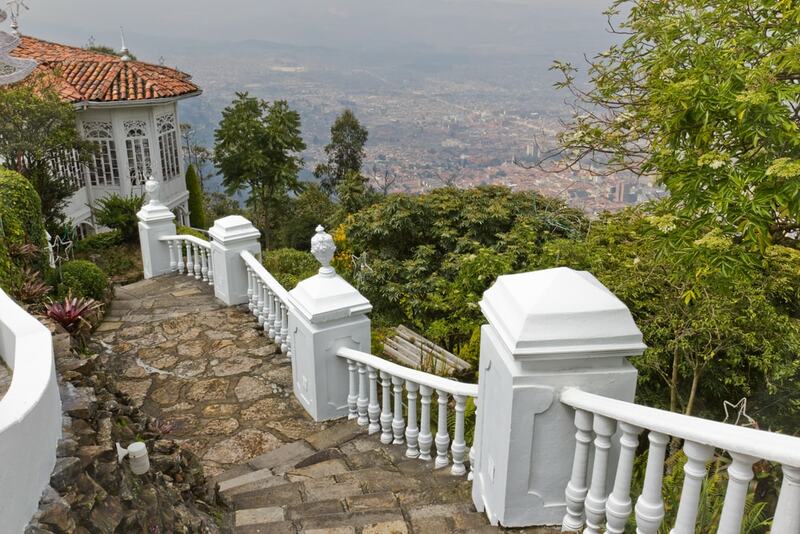 Cerro de Moneserrate is where most tourists head for fabulous views of the city. In recent years the path up to the top has been renovated and police patrol it regularly, so safety in the area has greatly improved. Although, consider taking a taxi from the cable car station at night, as the walk into La Candelaria after dark can be unsafe. 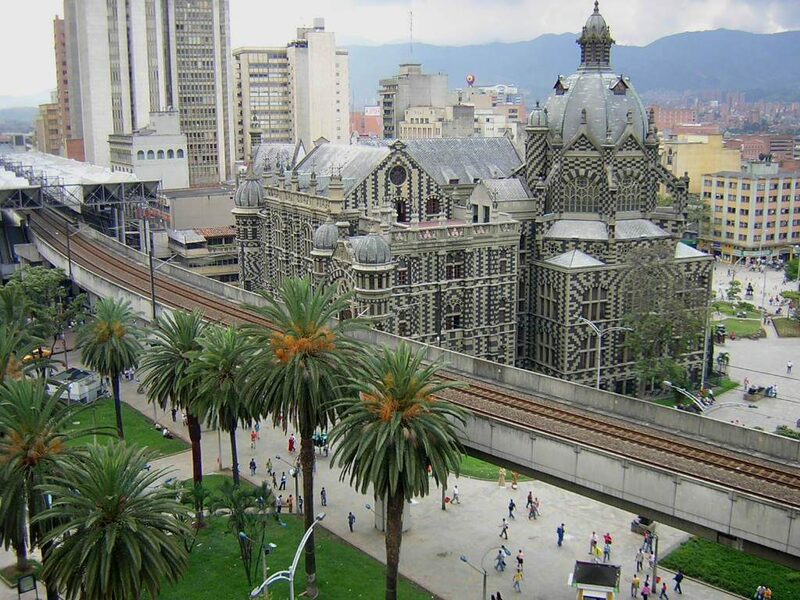 La Candelaria – This is the oldest section of the city, also known as Downtown. There are lots of museums and sights to explore in La Candelaria, but most people don’t choose to stay here, as the area is fairly quiet on an evening. It’s where most of the backpackers hostels are located, and a range of cheaper hotels. Zona G – This is one of our favourite areas to stay in Bogota. It’s trendy with great transport links, gourmet restaurants, and a big selection of hotels, so it ticks every box for most travellers. Neighbourhoods such as La Rosales and Chapinero are good options in Zona G.
Zona Rosa – This area, also known as the T Zone, is popular with a younger crowd, as it’s home to many of the city’s mid-range hotels, and has some of the best nightlife in the city. The streets are often busy on a night so it’s generally considered safe, but it’s not suitable for all tourists. Park 93 – This area is one of the most upmarket neighbourhoods in Bogota. There are plenty of restaurants and cafes, and some nice hotels, but the beautiful park is the biggest attraction. Medellin, along with Bogota, was the focus of much of the bad media coverage of Colombia in the 80s and 90s, but since then the city has changed almost unrecognizably. The ‘city of eternal spring’ is located in a beautiful valley where temperatures rarely drop below 25 degrees Celsius, and there a plenty of great museums, galleries and restaurants to keep tourists busy for a few days. 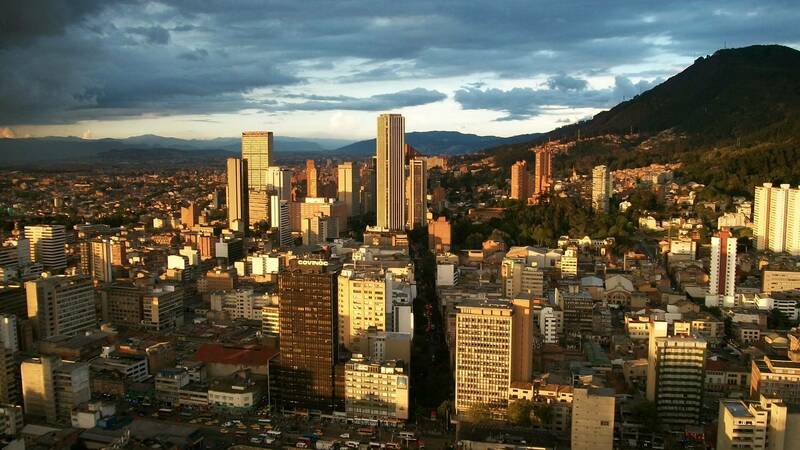 Similarly to Bogota, there are areas of Medellin which are best avoided as a tourist, but you have no reason to visit these places, and the city’s major sights are considered safe. Where to stay in Medellin? El Poblado – This is probably where most visitors to Medellin end up staying, and it has a reputation for being the safest neighbourood. It’s an exclusive residential area, with a range of restaurants, shops and bars, and it has a very international feel so the language barrier isn’t a problem for those who don’t speak Spanish. El Centro – El Poblado is a great choice, but for those who want to stay in the heart of the action El Centro is a popular area. This downtown neighbourhood is much busier than El Poblado, and doesn’t have such a good reputation in terms of safety. 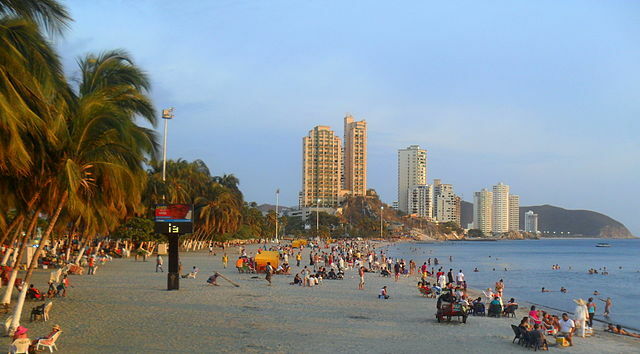 Cartagena is generally considered the safest place to visit in Bogota. 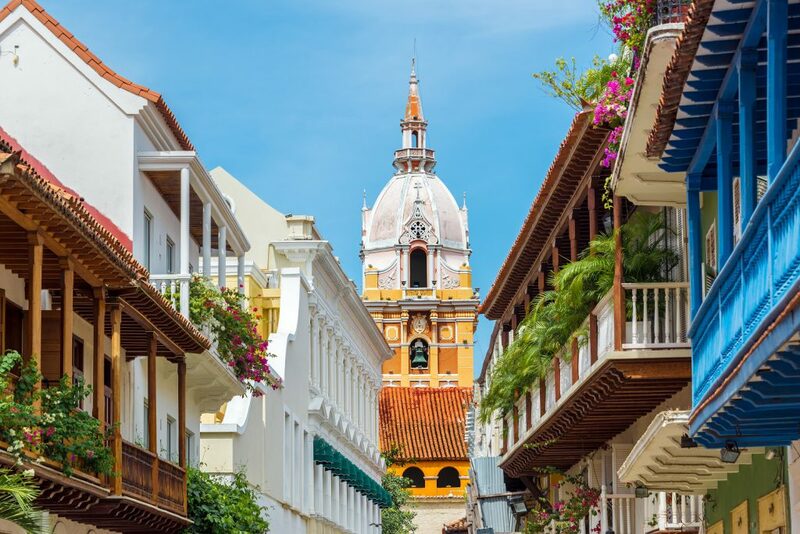 The city is perched on the edge of the Caribbean Coastline, and has a beautifully well-preserved historic centre, so it’s the perfect place for a sunny holiday to Colombia. The cobbled streets and charming plazas are often busy on a night with tourists and locals having dinner and enjoying a drink or two, so walking around here is perfectly safe, even in the evening. The beautiful sunsets over the sea are one of Cartagena’s biggest draws, and many people gather to watch them. The ancient walled city – This is our favourite place to stay, as it’s right in the heart of Cartagena, and is where you’ll want to spend your time when you’re not enjoying the Caribbean Sea. Most of the hotels are traditional buildings which have been renovated, so this option offers a more authentic stay. Getsemani – This neighbourhood is located just outside the walls of the old town, and caters more to budget travellers and backpackers. This area has a lively nightlife, plenty of street art, and bohemian cafes and shops. Bocagrande/Castillogrande – This area caters more for international tourists, particularly Americans, looking for a beach holiday. Although the beaches in Cartagena aren’t as attractive as the ones further north and on the Rosario Islands, Bocagrande has a range of private and public stretches to choose from. This is where the resort-style hotels are located. How safe is Santa Marta? North of Cartagena lies South America’s oldest city, Santa Marta. 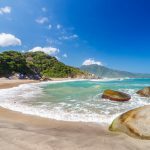 It’s the base for many tourists wanting to explore Tayrona National Park, and the city itself still retains its Colombian charm while remaining safe for tourists. The main problem here is that the city still has an important trade port, so the centre is extremely busy and noisy. Many of the beach neighbourhoods away from the hustle and bustle don’t have much infrastructure for tourists, and may feel unsafe. 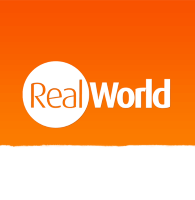 The area of El Rodadero is the exception, but it is expensive. 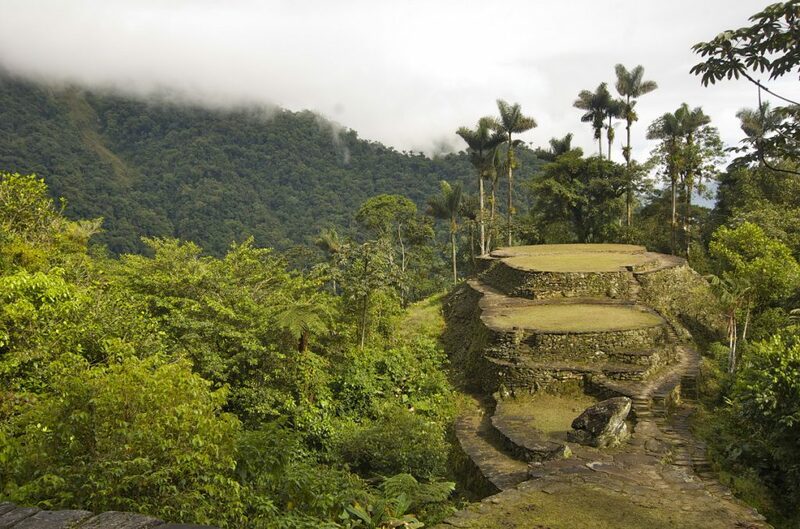 How safe is Tayrona National Park and Ciudad Perdida? Most people use Santa Marta as a base from which to explore Tayrona National Park, and as a starting point for the trek to the Lost City, or Ciudad Perdida. The remote jungle areas in Colombia still get a lot of bad press, but most of the crimes you’ll read about are not targeted at tourists. If you are exploring as part of a tour group, it’s in the guide’s best interest to ensure your safety, and if there are any doubts at all the tour simply won’t go ahead. There is a high military presence around the trek to Cuidad Perdida, so the area is much safer than it was a few years ago. Getting lost or injured are much more likely to happen than being a victim of crime. 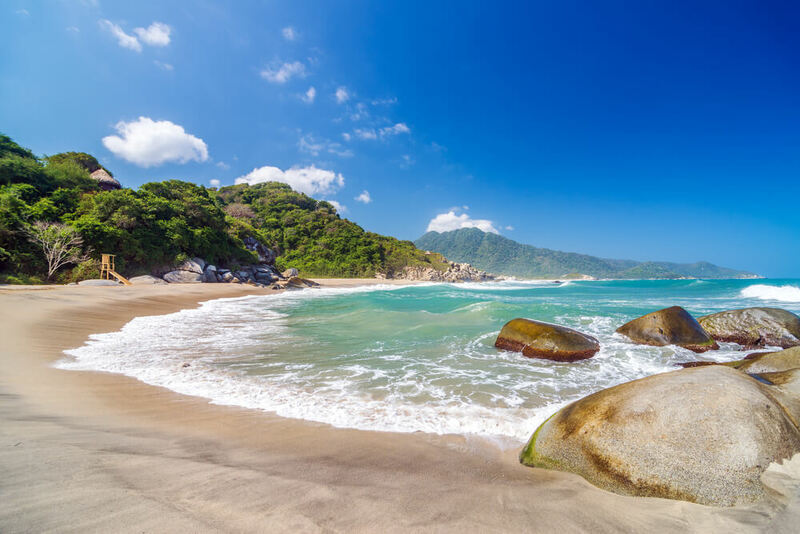 Similarly in Tayrona, you’ll put yourself in danger by swimming in rough seas or wandering off into the jungle. These are remote areas where help is not always easily available. How safe is Colombia overall? Yes, the country has had a very turbulent past, but the government and the tourist board have made huge progress to improve its reputation. Plus, the areas of interest to tourists are well-maintained and well-policed, and generally very safe. Safety warnings are more applicable in remote areas off the beaten path, where most tourists would never plan to visit anyway. So overall, the country is now considered a safe destination, and there are a huge range of holidays to Colombia to choose from! Previous post Things You Never Knew About Llamas! Next post Solo or Guided Tours in Peru?